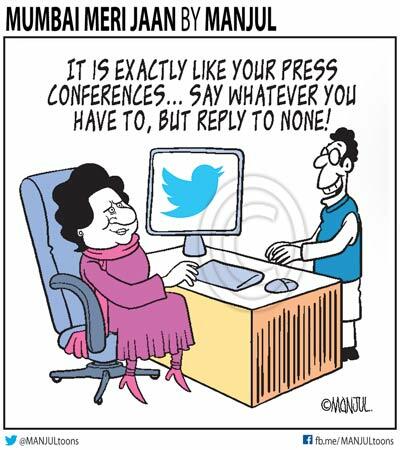 As Mayawati joins social media platform Twitter, Manjul takes a dig at the BSP chief’s style of interacting with the press — no need to feel obligated to answer questions. 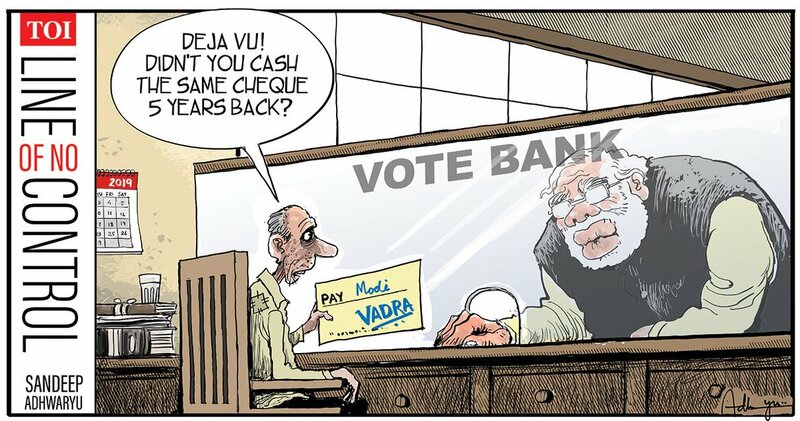 Sandeep Adhwaryu calls out Prime Minister Narendra Modi for trying to ‘cash in’ the Vadra cheque five years after campaigning on the same issue in 2014. 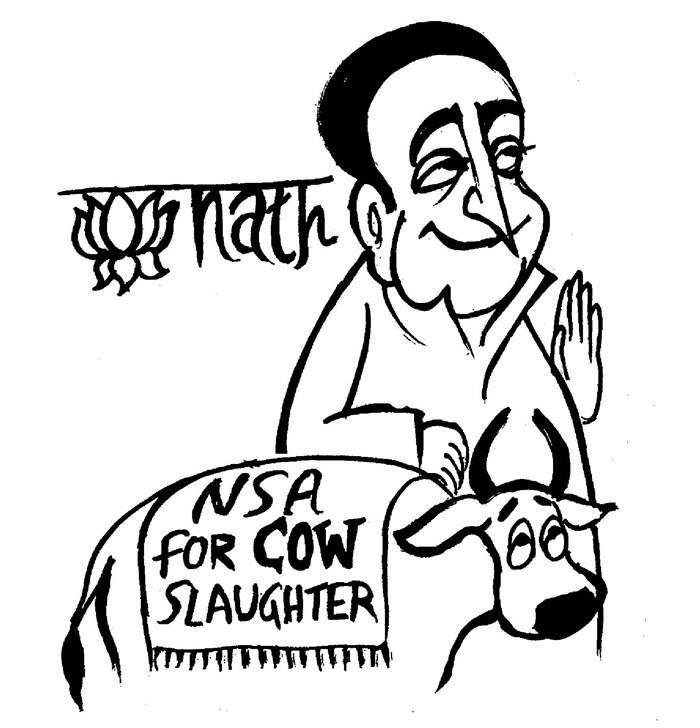 Kirtish Bhatt challenges readers to spot the difference between the Congress and the BJP after 3 men in Madhya Pradesh were reportedly slapped with the National Security Act for alleged cow slaughter. 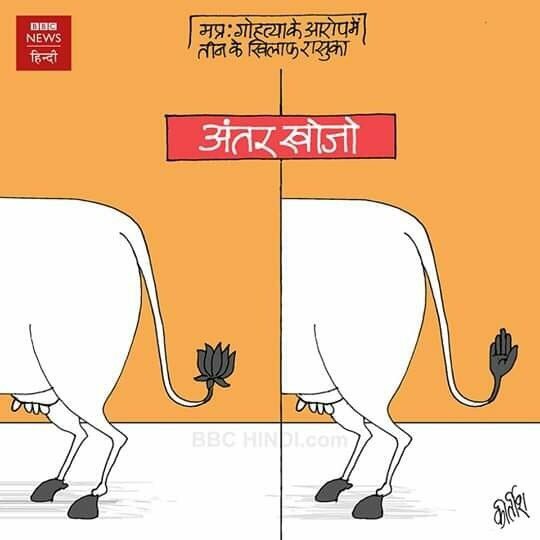 Unny points out that Madhya Pradesh chief minister ‘Kamal’ Nath has appropriated the BJP’s cow politics, symbolised here by the party’s election symbol that also stands in for the CM’s first name. 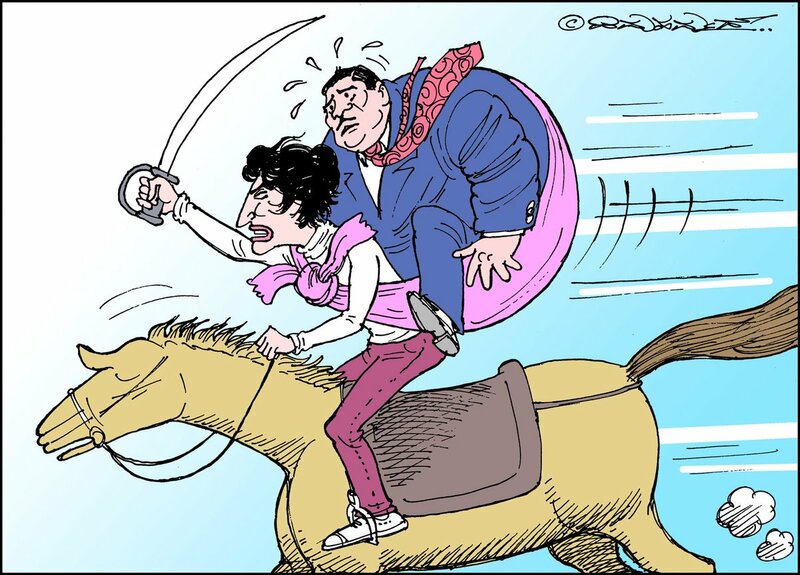 Mahamud illustrates Robert Vadra cradled like a child by his fierce wife and Congress leader Priyanka Gandhi Vadra in reference to her comment about supporting her husband despite allegations of money laundering against him. 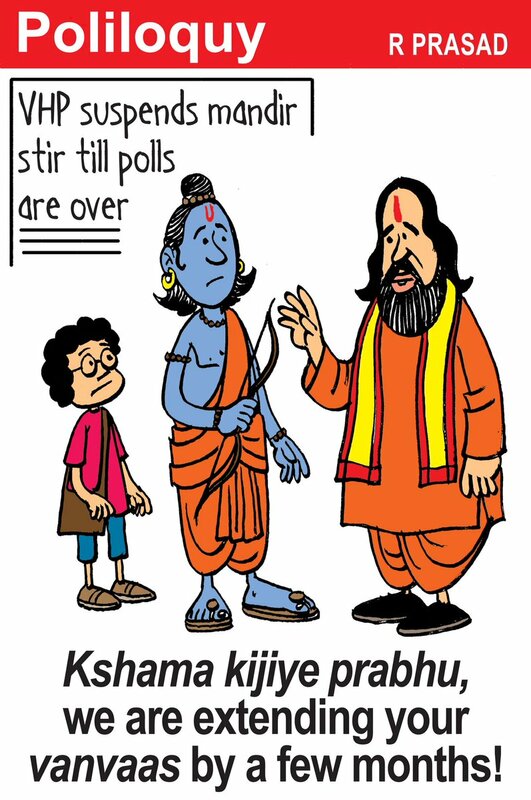 As VHP temporarily suspends Ram temple campaign in view of the Lok Sabha elections, R. Prasad suggests it’s politics that decides the fate of God. 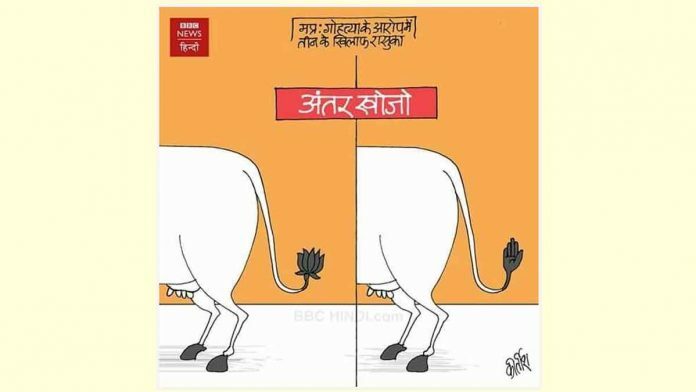 Keshav takes a jibe at Karnataka chief minister H.D. 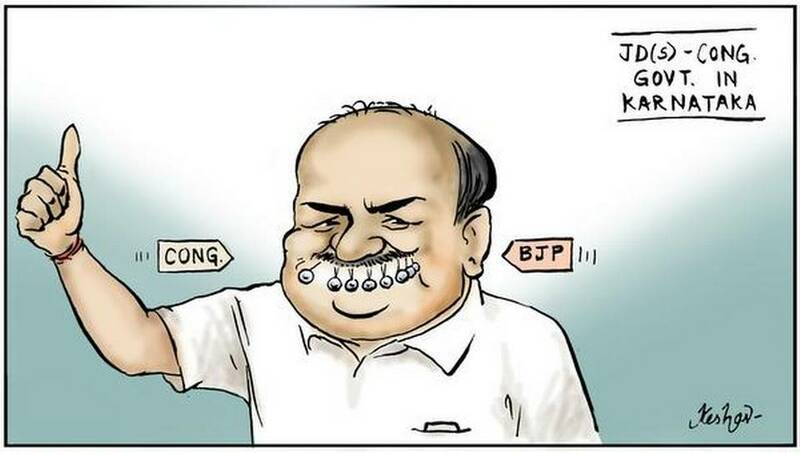 Kumaraswamy’s lack of control over his alliance with the Congress, which has been in the news for fear that the BJP will poach its members.